For the first time, Airport Show, to be held over three days from April 29 to May 1 at the Dubai International Convention and Exhibition Centre (DICEC), will host a Smart Airports Conference as a key component of its co-located event, Global Airport Leaders Forum (GALF) on day 1. Taking place on the opening day of the iconic airport industry B2B forum, the conference will bring together the most-influential innovations that are shaping the design, features and day-to-day operations of the modern airport. Exhibitors will also showcase their breakthrough technologies that are set to shape the future airport experience. The 19th edition of Airport Show will be held under the patronage of His Highness Sheikh Ahmed bin Saeed Al Maktoum, president of Dubai Civil Aviation Authority (DCAA), chairman of Dubai Airports and Chairman and chief executive of Emirates Airline and Group, on an exhibition space of 15,000 sq m in three Zabeel Halls of DICEC. More than 350 leading global aviation companies are going to participate in the world’s largest annual airport exhibition together with over 7,500 attendees. From kerb to gate, innovation and technology are playing a greater role at airports across the world today. Smart technologies and processes represent the most important investment for global airports over the next decade, supported by the digital transformation of the industry that has enabled a seamless exchange of passenger data and integration between aviation ecosystem partners. The Middle East Honeywell Smart Building Score, the first-of-its-kind global index designed for the comprehensive assessment of any building, showed that airports are leading the way for smart buildings in the region compared with other surveyed industries (hotels, hospitals, office and residential buildings, education and retail facilities). Airports scored the highest across all verticals, leading in all categories that are considered to make a building smart–green, safe and productive–scoring an average of 80 out of a possible 100. Honeywell, a loyal exhibitor of Airport Show has industry-leading technology that is helping Dubai International airport better manage the increased flight traffic, and unlock its full capacity by leveraging smart technologies that improve safety, increase operational efficiency, reduce environmental impact, and deliver improved cost-effectiveness. The smart airport market in the Middle East region is expected to reach $850 million by 2020, according to a report. The growth in the region will be spearheaded by the Gulf countries ably supported by Egypt, Iraq, Jordan, Cyprus, Lebanon and Turkey. According to Technavio, the Middle East is an emerging market for smart airports mainly driven by a spurt in investments from the UAE government towards expansion of airport capacity and building efficient operations. The Smart Airports market is expected to grow to $25.9 billion globally by 2025. The growth could be attributed to increased penetration of automated and connected airport processes, such as self-service check-ins, smart baggage drop, and smart luggage tracking. 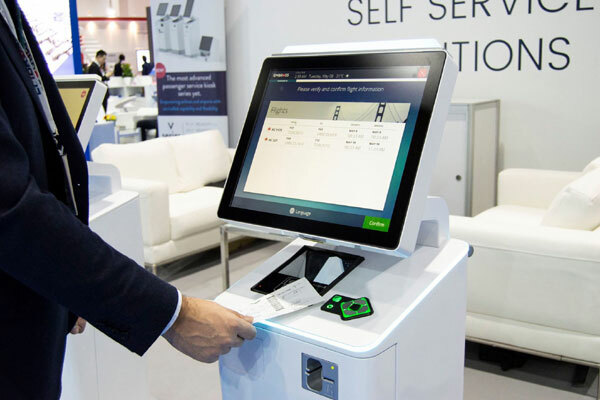 Emerging technologies and devices, such as smart access control systems, fingerprint readers, and smart card technology are being increasingly implemented by airports for enhancing the overall passenger experience. The revamped Global Airport Leaders’ Forum (GALF) will consist of a three-day programme alongside Airport Show 2019. Day 1 will focus on Smart Airports and discuss topics including smart airports and sustainability, Block Chain, Six Sigma implementation, smart airport ownership models and future technologies transforming transportation into safe green intermodal passages. Day 2’s focus on ATC will cover air traffic management and remotely operated systems, to the introduction of drones and other emerging technologies. Day 3 is all about airport security and will host exciting panel discussions including one on how AI and data-driven tech will shape the future of airport security. The conference will be addressed by Omar bin Sultan Al Olama, Minister of State for Artificial Intelligence; Thani Al Zaffin, general director of emaratech; and Abdulqader Ali, CEO of Smartworld. The keynote address will be by Michael Ibbitson, executive vice president for Technology and Infrastructure at Dubai Airports. The panellists for discussion on Smart Airports and Sustainability includes Ivanno Ianneli, chief executive officer, Dubai Carbon, and Amir Emam, sales director-HGR, Honeywell Airports. The Moderator will be Engineer Chaïma Ben Miloud, head of operations, Airside Safety Operations International (ASOI). The panel discussion on Privatisation Leading to Smart Airports will have onboard Javed Malik, Group COO, AirAsia Berhad; Kristian Budolfsen, director, Epinion Global; and Stefan J. Rüter CFO, Oman Airports Management Company (OAMC). Kashif Khalid, regional director Africa and Middle East at International Air Transport Association (IATA) will be the moderator. Dieter Heinz, honorary president of German Airport Technologies association (GATE) will give the afternoon session-opening speech. The panellists for session on Higher AI and Block Chain in Aviation includes Rory Houston, co-founder and CEO, Skyy Network; Khalid AlZarooni, Innovation Specialist, Dubai Customs, Joshua Paul, co-founder, Fintech Block Chain Consultants and Evan Luthra, CEO, EL Group.